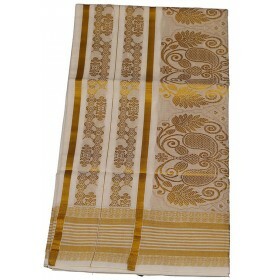 Kuthampully special mayil designs are an attractive collection from the kasavu saree trend. Saree with its ever enchanting and sensuous charm is always a fascination for Indian women. 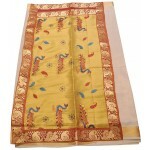 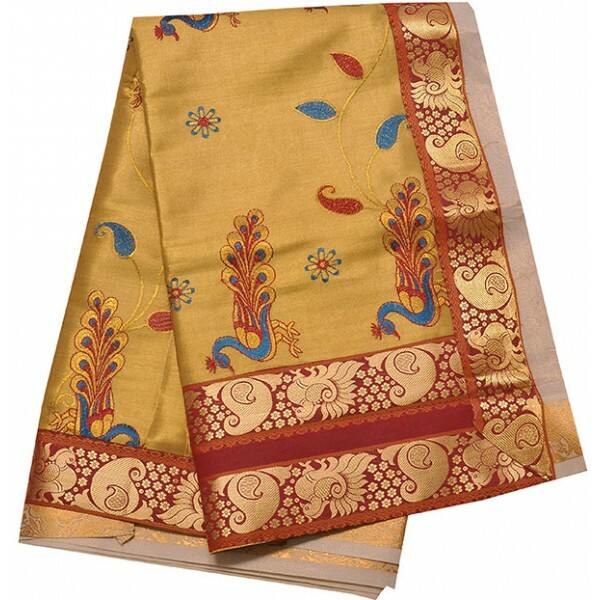 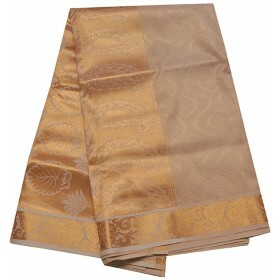 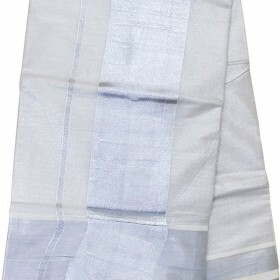 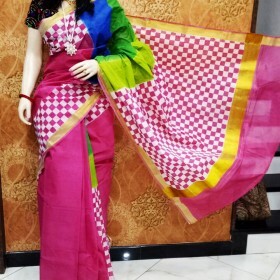 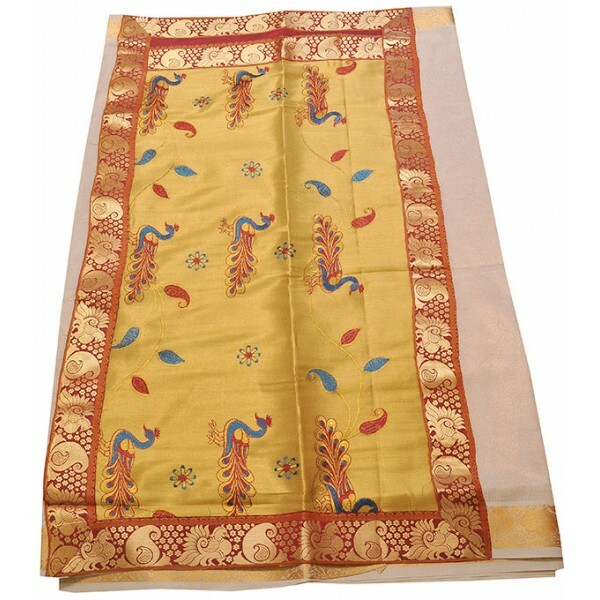 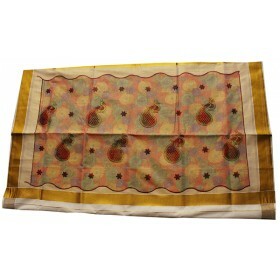 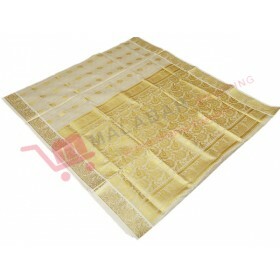 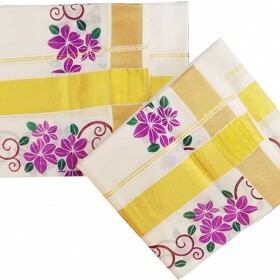 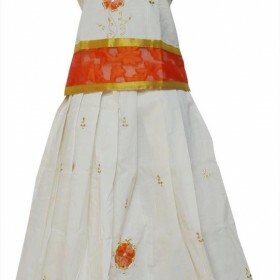 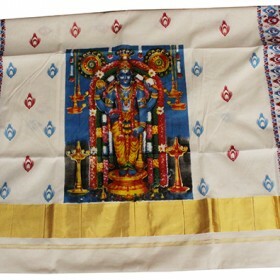 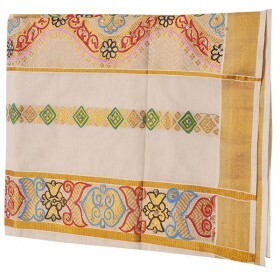 The multi-coloured brocade (Kara) is in contrast against the cream hue of the saree.